At times, it almost seems like a dream. I have always had a vivid imagination, but all my earlier attempts to write a book fell far short of being satisfactory. I had some great first chapters, introductions, and prologues, but little more. I could not work up a fully functional outline, as I learned to do in school. I have written papers galore, a thesis, all using this outline model, but it just wasn’t working. Then one day, I had what I thought was a great idea for a book. I opened up a word page and began to tell the story. No outline, just a few notes on events I wanted to include along the way. In a couple of weeks, I had a short story of 50,000 words, but the story needed some background information to understand the world in which the story took place. I figured I needed maybe three chapters to explain things. I started writing about events that happened twelve years before my story took place. It took on a life of its own. Three months later, I had the rough draft for Extinction, the beginning of A New Dawn Series. With the help of my children, I started to flesh out the story. After maybe a dozen revisions, an old friend from my teaching days, an English teacher, read the first book and volunteered to give it a first edit. Everyone told me to not get discouraged if it never got published. It was an accomplishment just to have finished writing a book. I accepted it was a long shot and I had written the story for myself and not to publish. It had been a labor of love. About this time, I met Mike Simpson of Second Wind Publishing at the Book’em festival in Lumberton, NC. He was a panelist and after it was over, I boldly walked up to him and began my pitch for the book. He gave me a card and asked me to send him the first thirty pages. (I wondered later if that was an easy way to get rid of me.) I sent the pages and he turned it down, BUT with three pages of suggestions. I rewrote the thirty pages following his suggestions and resubmitted. I received the reply to send the whole book. I had a publisher interested in seeing my book…revised according to his suggestions. I had thirty revised pages. I set to work. My friend edited and I submitted. Eight weeks later, I received a contract. Now eight months later, I have another book, Death in a Small Town, a murder mystery, ready to come out any week now. The sequel to Extinction, Survival, is due out later in the fall and I just signed a contract for my forth book, Shadow Knight: Dark Justice, an action adventure with a vampire hero. Who would have thought when I started this process three years ago that such a thing was possible? Certainly not me. Recently, I inherited a small family farm originally belonging to my great grandfather. It’s where I grew up…or rather spent my life until I turned eighteen. I didn’t really grow up until I was in my forties. My wife might even suggest the event has yet to happen. The property has a small creek and several old buildings, in addition to a newer house. 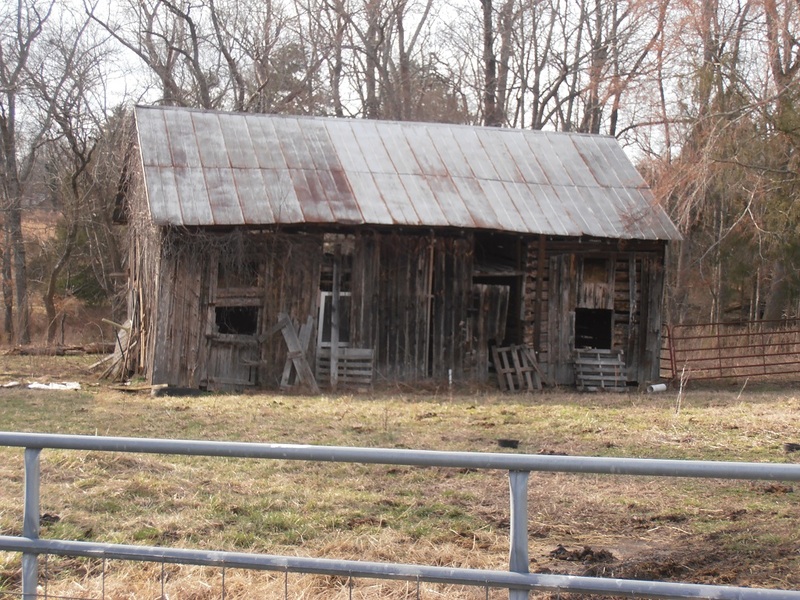 The old log barn and the “big house”, part of the original house where my great grandfather and great grandmother raised their family, still stand. Historically, there is nothing particularly noteworthy about these old buildings to anyone outside my family. To me, they represent a large part of my past, of where I came from. I used some of this history in my novel, Extinction. Jason’s memories of his time spent playing along the little creek came from my memories. Exploring caves, building castles and forts for waging war against unnumbered foes in the hayloft were a part of my childhood and happened in this old hand-hewed log barn. The pond Jason jogged around is the same one where I spent many hours fishing, swimming and skipping rocks. William’s memory in the smoke house was based upon my early childhood memories…including the part about his cutting his finger. As you can tell by reading Extinction, I love this place and have such fond memories of it. 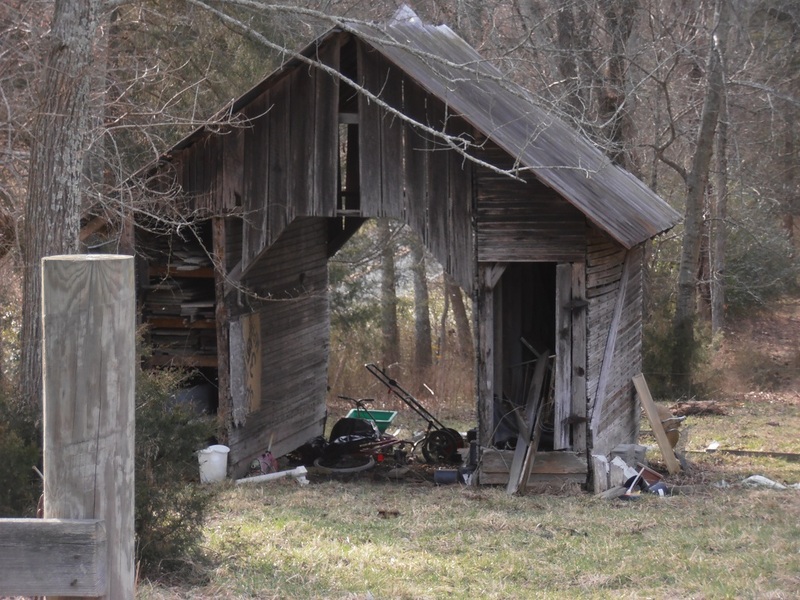 As I look at the old buildings, I don’t see them as they now sit—old run-down shacks that most people would put a match to. I see my memories. My childhood. My history. Five generations growing up surrounded by family and love. I see the sixth generation, still too young to understand the meaning of this place, where they, too, will play in the creek, explore new worlds in the woods and hayloft, fish, swim and skip rocks on the pond. One of my new building projects is to repair/restore the structural integrity of these bits of family history. In the ‘old house” to bring new life to the tongue and groove board walls, to the pegged window sashes, the wooden floors. To make stable the log walls of the barn. For hay bales to once again fill the loft. For memories to extend to at least one more generation. This project is not a project I expect completed quickly. It is a labor of love, of history, with a little bit of insanity thrown in for good measure.